Citizenship Applications – Four Year Wait? James Metcalfe – Pace Immigration: Recent news reports indicate that it can now take up to four years to have your citizenship application adjudicated by a judge. This is a story that has been developing over the past several years. Concerned with incidents of fraud and misrepresentation, Citizenship and Immigration Canada (CIC) has taken a hard line on even the most straightforward of applications. On the face of it, a Citizenship application looks very simple: complete a three page form, list your absences, sign a declaration, attach the requested documents, pay your fee, and file it. Done. Not so fast. It’s not simple, and can be a complex situation. The application is really just the start of a long journey for the majority of people. Several years ago, with the introduction of PR Cards and machine-readable passports, Canada’s border watchdogs began tracking every entry you made into Canada. CIC may not have access to that database, but they can ask you to apply for a travel history. Next, they may ask for a copy of your passport, and ask for an explanation of every entry and exit stamp in it. They can also ask you to provide exit and entry reports from the many countries that you may have visited. How about your notices of assessment from the Canada Revenue Agency? Or reports from your doctor, dentist, or any other transaction that requires your personal presence in Canada? All of these can and are asked for. Unfortunately, a few fraudulent cases have spoiled the system for the majority of applicants. I have seen cases in which applicants have been mistakenly accused of being out of Canada. 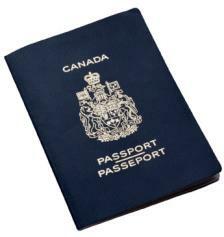 A misreading of an expiry date in a passport, or a passport issue date, can sink an applicant. Likewise, a mistranslation of a stamp in a passport can hurt an applicant. Will it get better? In my opinion the whole process of granting Citizenship has to change. CIC should front load all the requirements and inform new immigrants to Canada about the need to steadfastly document their time in Canada beforethey apply for permanent residency. Unfortunately, to use a an old cliché: the horse has already bolted, no need to close the door. Build a better barn!